The 2012 Distinguished Scholar Session, taking place at the 100th Annual Conference in Los Angeles, will honor Rosalind Krauss, University Professor at Columbia University in New York. Yve-Alain Bois of the Institute for Advanced Studies will chair a session, called “The Theoretical Turn,” in which five to six participants—among them Harry Cooper, Jonathan Crary, Benjamin H. D. Buchloh, and Hal Foster—will explore and celebrate Krauss’s many contributions to the history of art. The Distinguished Scholar Session will be held in Room 515B at the Los Angeles Convention Center on Thursday, February 23, 2:30–5:00 PM. Krauss’s acute observation of twentieth-century art began at Wellesley College in Massachusetts, where she received her undergraduate degree in 1962. She began writing criticism in 1966, mostly for Artforum, while working on her PhD at Harvard University, which she earned in 1969. MIT Press published an expanded version of her dissertation as Terminal Iron Works: The Sculpture of David Smith in 1971. Krauss continued writing criticism and generating art-historical essays that challenged steadfast analyses of Auguste Rodin, the Surrealists, and Jackson Pollock, to name a few topics. She joined the Artforum editorial board in the late 1960s and appeared on the masthead as assistant editor from 1971 to 1974. 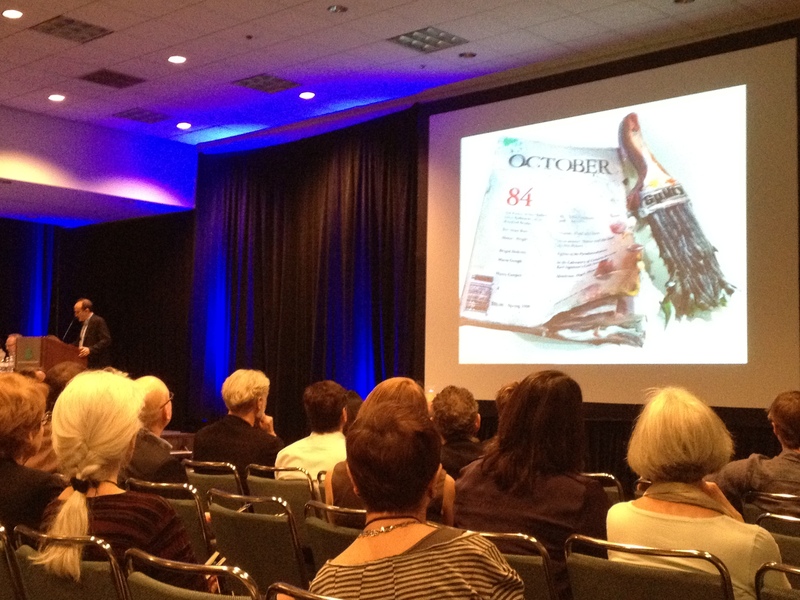 Krauss and her colleague Annette Michelson left the magazine in 1975 to establish the scholarly October, which strove to forge a relationship between contemporary concerns and scholarship, with particular emphases on the history of modernism, its fundamental premises, and the ability of writing to reinvigorate the era. For Krauss and others, October was an opportunity to integrate artists such as Richard Serra and Sol LeWitt into their theoretical convictions and investigative criticism. 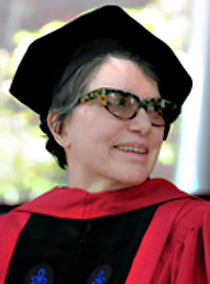 University Professor Rosalind Krauss received an honorary Doctor of Arts degree from Harvard University at their 360th Commencement on May 26, 2011. It is no exaggeration to say that Rosalind Krauss has been the preeminent American art historian to have taught generations of colleagues and students, across the arts and the humanities, to courageously espouse, what she once described as “the paraliterary space”: “the space of debate, quotation, partisanship, betrayal, reconciliation…” We honor Rosalind Krauss for her indomitable spirit and her pioneering work.